Forested areas fill much of Meridian State Park. Ashe juniper and oak are the most common trees, just as they are in the rest of the Texas Hill Country. Many other trees, shrubs, grasses and wildflowers also grow in the park. A variety of wildlife spend time here, in­cluding golden-cheeked warblers. 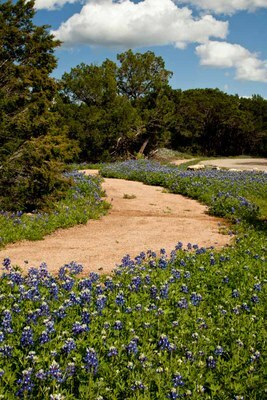 These en­dan­gered birds nest in the Texas Hill Country from March through July. Down­load Birds of Meridian State Park: A Field Checklist (PDF). Bream, crappie, catfish and largemouth bass populate the 72-acre Lake Meridian. TPWD stocks the lake with rainbow trout each winter.